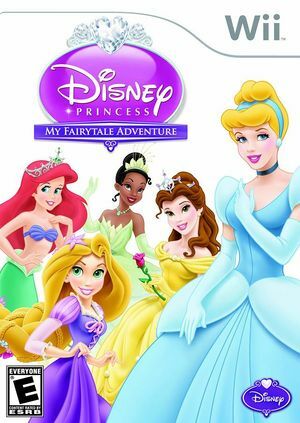 In Disney Princess: My Fairytale Adventure, players will enter the enchanting worlds of Cinderella, Rapunzel, Ariel, Belle and Tiana, and use their magic wand to help undo a spell that's been cast over the kingdoms. Fans of all ages will be able to play as an apprentice to the Fairy Godmother and explore each of the Princess worlds. They'll be able to interact with familiar characters, such as Lumiere, Pascal, Flounder, Gus and other fan favorites who will help guide them through missions and progress though the game. The graph below charts the compatibility with Disney Princess: My Fairytale Adventure since Dolphin's 2.0 release, listing revisions only where a compatibility change occurred. This page was last edited on 7 January 2018, at 10:24.